“The tendency nowadays to wander in the wilderness is delightful to see. Thousands of tired, nerve-shaken, overcivilized people are beginning to find out that going to the mountains is going home; that wildness is a necessity; and that mountain parks and reservations are useful not only as fountains of timber and irrigating rivers, but as fountains of life. Awakening from the stupefying effects of the vice of over-industry and the deadly apathy of luxury, they are trying the best they can to mix and enrich their own ongoings with those of Nature, and to get rid of rust and disease. Briskly venturing and roaming, some are washing off sins and cobweb cares of the devil’s. Spinning all-day storms on mountains; sauntering in rosiny pinewoods or in gentian meadows, brushing through chaparral, bending down and parting sweet, flowery sprays; tracing rivers to their sources, getting in touch with the nerves of Mother Earth. Pacific sedum is a perennial herb native to California and the Pacific Northwest. It is a low creeping succulent plant with flat basal rosettes of leaves usually coated with blue waxy powder. The yellow flowers have five pointed petals. It grows in rocky outcrops, often in shade, from coastal cliffs to alpine. Plants with many different leaf colors have been selected for gardens. Many sedums are cultivated as garden plants, due to their interesting and attractive appearance and hardiness. A large genus of flowering plants containing over 400 species, sedum are found throughout the Northern Hemisphere. Sedum reflexum is occasionally used as a salad leaf or herb in Europe and has a slightly astringent sour taste. Sedum can be used to provide a roof covering in green roofs, where they are preferred to grasses. Green roofs serve several purposes for a building, such as absorbing rainwater, providing insulation and creating a habitat for wildlife. Luminism is an American landscape painting style of the late 19th century characterized by effects of light in landscapes through the use of aerial perspective and concealing visible brushstrokes. Luminist landscapes emphasize tranquility and often depict calm, reflective water and a soft, hazy sky. The term luminism was introduced by 20th century art historians to describe a painting style that developed as an offshoot of the Hudson River school. The artists who painted in this style did not refer to their own work as luminism, nor did they articulate any common painting philosophy outside of the guiding principles of the Hudson River school. Instinct is the inherent inclination of a living organism toward a particular behavior. Instinctual actions have no learning curve. They are hard-wired and ready to use without learning. Some instinctual behaviors depend on maturational processes to appear. Immediate instinct, also known as imprinting, causes geese to follow around the first moving object that they encounter, as it tends to be their mother. A favorable trait, such as an instinct, can improve survival rate of life forms possessing the instinct. Many scientists consider that it is instinctual in children to put everything in their mouths, because this is how they tell their immune system about the environment and the surroundings, and what the immune system should adapt to. A displacement activity is a behavior that is the result of two contradicting instincts in a particular situation. A human may scratch its head when it does not know which of two options to choose. Similarly, a bird may peck at grass when uncertain whether to attack or flee from an opponent. Photinia fraseri, also known as Red-Tip Photinia or Red Robin, is a fast-growing evergreen shrub very popularly planted in Oregon and California as a hedge. It is a hybrid of Asian parentage. The new growth is a bright red during spring, then turns to a dark glossy green as the leaves mature. The plant is toxic to horses and other grazing animals, but there is no indication of toxicity to dogs or cats. It has umbrella shaped flowers of creamy white that grow in dense clusters. Small red to black berries are produced in the fall which are consumed by birds, mostly thrushes, waxwings and starlings. It lends itself well to pruning and is usually planted as a privacy hedge. Photinia fraseri is a fast grower, and can form a very dense hedge, but this is best done with regular trimming. Left untrimmed, the shoots can grow three to four feet or more in a season, but this will produce a bare-looking or thin shrub. Suiseki is the Japanese art of stone appreciation and may also refer to the objects of the appreciation, the stones. Suiseki may take many forms including those that bear a resemblance to human figures, animal figures, landscape forms, and those which are purely abstract. Natural stone and rock formations, with no artificial carvings, are preferred. Suiseki are sometimes carved and then thrown back into a lake so that any markings can be washed away with time. The stones can be any color, and contrasting colors are not uncommon. The size of the stone can be quite varied. They can weigh hundreds of pounds or less than an ounce. Subtlety of color, shape, and markings is also desired, as is beauty of texture and shape. Suiseki are usually reminiscent of someone or something, or may convey a spiritual nature that moves viewers in some way. One of the most important aspects of suiseki is the great care which is taken in displaying stones. They are usually set upon a stable surface, such as a rosewood pedestal that has been carved specifically for the stone. Suiseki should always be the predominant element and the container or surroundings should never detract from the stone. In photography, Bokeh is an aesthetic quality of blur. It occurs in parts of a scene that lie outside the depth of field. Photographers sometimes deliberately use a shallow focus technique to create images with prominent out-of-focus regions. The term Bokeh has appeared in photography books since at least 1998. The term comes from the Japanese word boke, which means “blur” or “haze”, or boke-aji (the “blur quality”). 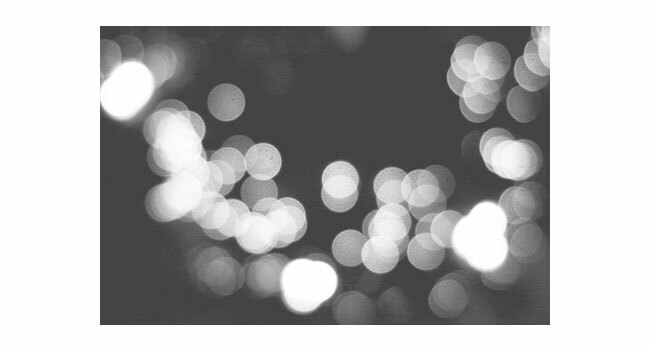 The shape of the camera aperture has an influence on the subjective quality of Bokeh. When a lens is stopped down to something other than its maximum aperture size, out-of-focus points are blurred into the polygonal shape of the aperture rather than perfect circles. Some lenses have aperture blades with curved edges to make the aperture more closely approximate a circle rather than a polygon. An alternative mechanical mechanism has been proposed for generating Bokeh in small aperture cameras such as compacts or cellphone cameras, called image destabilisation, in which both the lens and sensor are moved in order to maintain focus at one focal plane, while defocusing nearby ones. This effect currently generates blur in only one axis. Claytonia perfoliata is a fleshy annual plant native to the western mountain and coastal regions of the Pacific United States. The common name “Miner’s Lettuce” refers its use by California gold rush miners who ate it to get their vitamin C to prevent scurvy. It is very common in the spring, and prefers cool, damp conditions. It first appears in sunlit areas after heavy rains. The best stands are found in shaded areas under trees, especially in the uplands. As the days get hotter in June, the leaves turn a deep red color as they dry out. It can be eaten as a leaf vegetable. Most commonly it is eaten raw in salads, but it is not quite as delicate as other lettuces. It is often boiled like spinach, which it resembles in taste and texture. Rumors mention that California original Americans used to place it by red ant hills to pick up formic acid as a “dressing”. Claytonia perfoliata has none of the peppery kick of Nasturtium Tropaeolum majus, also in the Purslane family, which is how this custom may have originated.